Introduction of fluoride to reduce caries. Over the course of human life, enamel and dentin undergo unlimited cycles of demineralization and remineralization. Localized acids produced by plaque after a cariogenic challenge, lower the surface pH of the tooth and start diffusing into the tooth, leaching calcium and phosphate from the enamel. At this time, the plaque pH may have dropped to 4.0-4.5. This mineral loss leads to weakening of the mechanical properties and may lead to cavitation. When oral pH returns to near neutral, Ca 2+ and PO43− ions in saliva incorporate themselves into the depleted mineral layers of enamel as new apatite. The demineralized zones in the crystal lattice act as nucleation sites for new mineral deposition [Figure 2]. This cycle is fundamentally dependent upon enamel solubility and ion gradients. Chemical inhibition of dissolution of the surface enamel by salivary components or fluoride derived from the oral environment. Anatomical variations in structure and composition of enamel. A more general phenomenon that may involve coupled diffusion. Dentin is composed of about 30 volume % type I collagen fibrils and noncollagenous proteins that form a scaffold reinforced with apatite, which represents 50% of the matrix, with the remainder being fluids. Apatite in dentin has a much smaller crystallite size, higher carbonate content and is more susceptible to acidic dissolution than enamel apatite. Hence, once the carious process enters the dentin, the demineralization rate is accelerated. Moreover, the high organic content in dentin makes its remineralization a much more complex process than remineralization of the enamel. In dentin, the apatite occurs in two specific regions, within the fibrils (intra-fibrillar mineral) and between fibrils (extra-fibrillar mineral). Primarily the intra-fibrillar mineral, has been suggested to be crucial for the normal mechanical properties of the tissue. Therefore, a critical aspect in treating carious dentin is not only to replace the lost mineral, but principally to provide the tight association of the re-grown mineral with the demineralized matrix thus enabling the recovery of the mechanical properties of the tissue. Guide tissue remineralization represents a novel strategy in collagen biomineralization. This strategy utilizes nanotechnology and biomimetic principles to achieve intra-fibrillar and extra-fibrillar remineralization of a collagen matrix in the absence of apatite seed crystallites  (this strategy will be covered in detail later). Sufficient mineral must be present in the saliva. A molecule of carbonic acid must be produced. The carbonic acid molecule must be produced in proximity to a mineral molecule. This all has to occur in proximity to a demineralized spot in the hydroxyapatite (HAP) latticework. That spot of the tooth has to be clean, so that the mineral-deficient spot is accessible. The role of saliva in maintaining oral health cannot be refuted, as the relationship of hyposalivation and increase in dental caries has already been a proven fact. Why to go for nonfluoride strategies? They must demonstrate a benefit over and above an established and highly effective agent, namely, fluoride. The organic constituents of saliva can serve as accelerators and inhibitors of the remineralization process. Teeth are covered by the acquired pellicle, which has been shown to retard remineralization. If sugar-free chewing gum is the delivery vehicle, chewing gum has a major remineralizing effect in and of itself, which makes it more challenging to show an additional benefit when using gum as the delivery vehicle. The bulk of this evidence based review will deal with contemporary nonfluoride technologies. A search of articles from "PubMed" and "Medline" and databases like Google and Google scholar, ScienceDirect and Wiley with the keywords remineralization, demineralization, nonfluoridated demineralizing agents was conducted in the month of August 2012. We retrieved a total of 123 abstracts and 157 full-length papers, of which 114 articles that discussed current technologies of nonfluoridated demineralizing agents were read and 86 most relevant articles were included in this paper. The management of dental caries must be of a preventive rather than just curative approach. However, the word caries is unfortunately used for both the dental caries (and cavities), which occurs in the tooth and the carious process which occurs in the biofilm. The carious lesion can be thought as a reflection of the carious process. Preventive dentistry is all about how we stop the carious process-remineralize the initial noncavitated white spots, alter the metabolism in plaque and control plaque itself. The following classification will be used for discussing nonfluoride remineralization strategies. Agents which interact with tooth enamel. Those neutralizing the bacterial acid. Bussadori et al. conducted long-term and short-term cytotoxicity assessment of CPP-ACP paste in rat fibroblasts and concluded that CPP-ACP paste demonstrates low cytotoxicity in rat fibroblast culture. Lozenges are also a suitable vehicle for the delivery of CPP-ACP to promote enamel remineralization was demonstrated by Cai et al. Dentifrice containing calcium and phosphate ions has been found to increase the bioavailability of fluoride, resulting in increased uptake of fluoride in in vitro studies using enamel cores. CPP-ACPF paste showed promising results as a remineralizing material when compared to acidulated phosphate fluoride gel and sodium fluoride varnish (NaF) for remineralization of artificially induced dental erosion in primary and permanent teeth. Biomimetic approaches to the stabilization of bioavailable calcium, phosphate, and fluoride ions and the localization of these ions to noncavitated caries lesions for a controlled remineralization show promise for the noninvasive management of dental caries  [Table 1].Combining fluoride and ACP with CPP-ACP can give a synergistic effect on enamel remineralization was demonstrated using laser autofluorescence. ,, Also, CPP-ACP effectively decreases the lesion depth better than fluoridated toothpaste when compared to a nonfluoridated toothpaste. Kumar et al. concluded that CPP-ACP decreases lesion depth irrespective of whether or not it was used as a toothpaste or topical coating. For application in patients with orthodontic appliances, the effect of CPP-ACP on the load-deflection properties of beta-titanium wires was checked and was concluded that CPP-ACP did not have a statistically significant effect on the loading modulus of elasticity. The effect of CPP-ACP paste on tooth mineralization was also checked using field emission scanning electron microscopy, and it was seen that CPP-ACP paste was effective in preventing demineralization of enamel and dentin more effectively than the placebo paste (CPP-ACP free). Remineralization of enamel subsurface lesions by CPP-stabilized calcium phosphate solutions was checked by Reynolds. The CPP, by stabilizing calcium phosphate in solution, maintain high-concentration gradients of calcium and phosphate ions and ion pairs into the subsurface lesion and thus effect high rates of enamel remineralization. The effects of an anticariogenic CPP on calcium diffusion in streptococcal model dental plaques was checked by Rose,  and it was concluded that CPP-ACP binds well to plaque, providing a large calcium reservoir within the plaque and slowing diffusion of free calcium. Shen et al. checked remineralization of enamel subsurface lesions by sugar-free chewing gum containing CPP-ACP and found that the addition of CPP-ACP to either sorbitol- or xylitol-based gum resulted in a dose-related increase in enamel remineralization. Shirahatti et al. demonstrated that the use of nonfluoridated dentifrice and also the use of paste incorporated with CPP-ACP can reduce the progression in depths of enamel lesions when applied to early lesions. The resistance to the progression of lesion depth diminishes when the agents are applied to more progressed enamel lesions. Yimcharoen et al. concluded from a study using polarized light microscopy that CPP-containing toothpaste, 260 ppm fluoride-containing toothpaste paste and a 500 ppm fluoride-containing toothpaste all had significant efficacy for inhibiting demineralization of carious lesions. However, 500 ppm fluoride-containing toothpaste inhibited lesion progression better than CPP-containing toothpaste and 260 ppm fluoride-containing toothpaste. To conclude, SensiStat can be used to treat early surface demineralizations, and halt development to frank caries that requires restoration. Similarly there is a lot of evidence suggesting xylitol candy/lozenge/syrup, xylitol dentifrice, triclosan, iodine, topical chlorhexidine products like chlorhexidine varnish, chlorhexidine/thymol varnish, chlorhexidine mouthrinses, chlorhexidine gels and sialogogues have anti-caries effect and are capable of reversal of the carious process. Other strategies to combat demineralization include neutralizing bacterial acid using calcium carbonate as plaque pH buffering effect , and sodium bicarbonate to provide an alkaline oral environment. A variety of antibiotics and antimicrobials are used to combat dental plaque. Many types of mouthrinse active ingredients have been evaluated for their plaque-reducing effectiveness and ability to reduce mutans streptococci, including chlorhexidine, essential oils, triclosan, cetylpyridinium chloride, sanquinarin, sodium dodecyl sulfate, and various metal ions (tin, zinc, copper). Toxicity of many of these metals (e.g., aluminum, molybdenum, barium, and copper) restricts the concentration at which they could be safely used. However, the evidence supporting the effectiveness of antiplaque agents in preventing dental caries, with the possible exception of chlorhexidine  and triclosan,  is very limited. Discussing this section in detail is beyond the scope of this paper. Evidence suggests that initial noncavitated lesions can be remineralized using appropriate technologies, both fluoride and nonfluoride based. Saliva plays an important role in the remineralization. Also, it is important that the control of caries be dealt with biofilm control. The nonfluoride remineralization strategies will be of benefit to many. Because of changes in dietary habits, lifestyle, and longer life expectancy, there is an increasing prevalence of enamel and dentin erosion, dental caries and other factors which affect the health of dental tissues. With these nontocic alternative remineralization strategies, we would be able to re-establish the health of oral tissues without being under the risk of fluoride toxicity if ingested at high levels, in particular in children. Zero DT. Dentifrices, mouthwashes, and remineralization/caries arrestment strategies. BMC Oral Health 2006;6 Suppl 1:S9. Wolff MS, Larson C. The cariogenic dental biofilm: Good, bad or just something to control? Braz Oral Res 2009;23 Suppl 1:31-8. Stephan RM. Changes in hydrogen ion concentration on tooth surfaces and in carious lesions. J Am Dent Assoc 1940;27:718-23. Higham S. Caries Process and Prevention Strategies: Demineralization/Remineralization. Available from: http://www.ada.org/prof/ed/ce/cerp/index.asp. [Last accessed on 2012 Aug 12]. Bernie KM. Remineralization!Strategies:!! Advancements in Fluoride, Calcium & Phosphate Technologies. Available from: http://www.EducationalDesigns.com. [Last accessed on 2012 Aug 12]. Meyer-Lueckel H, Schulte-Mönting J, Kielbassa AM. The effect of commercially available saliva substitutes on predemineralized bovine dentin in vitro. Oral Dis 2002;8:192-8. Alauddin SS. In vitro remineralization of human enamel with bioactive glass containing dentifrice using confocal microscopy and nanoindentation analysis for early caries defense. A thesis, University of Florida; 2004. Available from: http://www.ufdc.ufl.edu/ufe0007162/00001. [Last accessed on 2014 Aug 27]. Dowker SE, Anderson P, Elliot JC, Gao XJ. Crystal chemistry and dissolution of calcium phosphate in dental enamel. Mineral Mag 1999;63:791-800. Liu Y, Li N, Qi Y, Niu LN, Elshafiy S, Mao J, et al. The use of sodium trimetaphosphate as a biomimetic analog of matrix phosphoproteins for remineralization of artificial carieslike dentin. Dent Mater 2011;27: 465-77. Bertassoni LE, Habelitz S, Marshall SJ, Marshall GW. Mechanical recovery of dentin following remineralization in vitro - an indentation study. J Biomech 2011;44:176-81. Bertassoni LE, Habelitz S, Pugach M, Soares PC, Marshall SJ, Marshall GW Jr. Evaluation of surface structural and mechanical changes following remineralization of dentin. Scanning 2010;32:312-9. Dai L, Liu Y, Salameh Z, Khan S, Mao J, Pashley DH, et al. Can Caries-Affected Dentin be Completely Remineralized by Guided Tissue Remineralization? Dent Hypotheses 2011;2:74-82. Pradeep K, Kumar PR. Remineralizing agents in the non-invasive treatment of early carious lesions. Int J Dent Case Rep 2011;1:73-84. Ferguson MM. The persistent dry mouth. Contin Med Educ N Z Fam Physician 2002;29:1-11. Naghibzadeh Y, et al. Do we have effective preventive clinical (professionally applied or prescribed) interventions for root caries? University of Toronto; 2007. Available from: http://www.dentistry.utoronto.ca/system/files/interventionsforrootcaries.pdf. [Last accessed on 2014 Aug 26]. Aguiar GP, Jham BC, Magalhães CS, Sensi LG, Freire AR. A review of the biological and clinical aspects of radiation caries. J Contemp Dent Pract 2009;10:83-9. Badr SB, Ibrahim MA. Protective effect of three different fluoride pretreatments on artificially induced dental erosion in primary and permanent teeth. J Am Sci 2010;6:442-51. Ranjitkar S, Kaidonis JA, Roger SJ. "Gastroesophageal Reflux Disease and Tooth Erosion," International Journal of Dentistry, vol. 2012, Article ID 479850, p. 10, 2012. doi:10.1155/2012/479850. Karlinsey RL, Mackey AC, Walker ER, Frederick KE, Fowler CX. In vitro evaluation of eroded enamel treated with fluoride and a prospective tricalcium phosphate agent. J Dent Oral Hygiene 2009;1:52-8. Goswami M, Saha S, Chaitra TR. Latest developments in non-fluoridated remineralizing technologies. J Indian Soc Pedod Prev Dent 2012;30:2-6. Chhabra KG, Shetty PJ, Prasad KVV, Mendon CS, Kalyanpur R. The beyond measures: Non flouride preventive measures for dental caries. J Int Oral Health 2011;3:1-8. 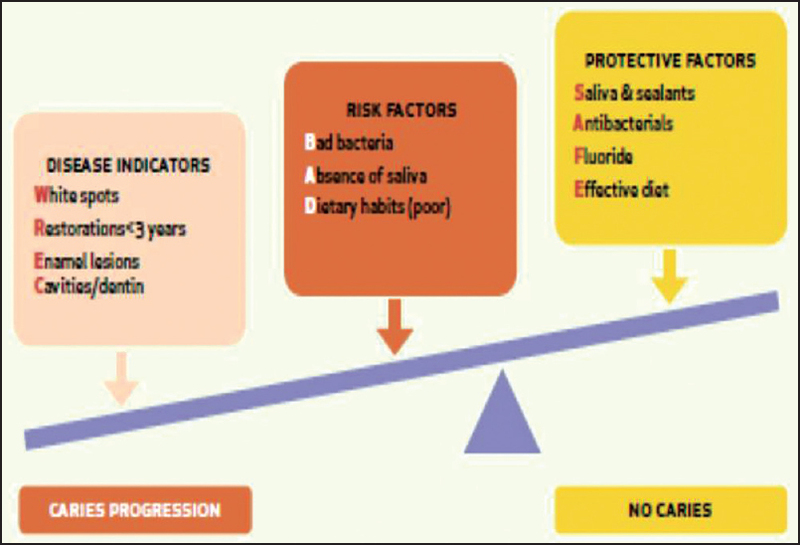 Singh M, Kaur M. Fluoride alternatives: A review of the present status. J Contemporary Dent Sci 1:54-61. Available from: http://www.nootandentalindia.org/journal-contents.html. [Last accessed on 2014 Aug 26]. Walsh LJ. Contemporary technologies for remineralization therapies: A review. International Dentistry S Afr 11:6-16. Available from: http://www.moderndentistrymedia.com/nov_dec2009/walsh.pdf. [Last accessed on 2014 Aug 26]. Al-Batayneh OB. The clinical applications of tooth moussetm and other CPP-ACP products in caries prevention: Evidence-based recommendations. Smile Dent J 2009;4:8-12. Bussadori KS, Santos EM, Guedes CC, Motta LJ, Fernandes KPS, Mesquita-Ferrari RA, et al. Cytotoxicity assessment of casein phosphopeptide-amorphous calcium phosphate (CPP-ACP) paste. Conscientiae Saúde 2010;9:354-9. Collins FM. Treatment options for tooth discoloration and remineralization. RDH 2008;28:1-11. doi: 02797720. El Sayad I, Sakr AK, Badr YA. Combining casein phosphopeptide-amorphous calcium phosphate with fluoride: Synergistic remineralization potential of artificially demineralized enamel or not? J Biomed Optics 2009;14:044039. Agnihotri Y, Pragada NL, Patri G, Thajuraj PK. The effect of CPP-ACP on remineralization of artificial caries like lesions: An In vitro study. Indian J Multidiscip Dent 2011;2;366-9. Kumar VL, Itthagarun A, King NM. The effect of casein phosphopeptide-amorphous calcium phosphate on remineralization of artificial caries-like lesions: An in vitro study. Aust Dent J 2008;53:34-40. doi: 10.1111/j.1834-7819.2007.00006.x. Massih K. The Effect Of Casein Phosphopeptide-Amorphous Calcium Phosphate On Load-Deflection Properties Of Beta-Titanium Wires Used In Orthodontics University Of Pittsburgh, School Of Dental Medicine; 2009. Available from: d-scholarship.pitt.edu/8077/1/MassihThesis2009.pdf. [Last accessed on 2014 Aug 26]. Oshiro M, Yamaguchi K, Takamizawa T, Inage H, Watanabe T, Irokawa A, et al. Effect of CPP-ACP paste on tooth mineralization: An FE-SEM study. J Oral Sci 2007;49:115-20. Rose RK. Effects of an anticariogenic casein phosphopeptide on calcium diffusion in streptococcal model dental plaques. Arch Oral Biol 2000;45:569-75. Shen P, Cai F, Nowicki A, Vincent J, Reynolds EC. Remineralization of enamel subsurface lesions by sugar-free chewing gum containing casein phosphopeptide-amorphous calcium phosphate. J Dent Res 2001;80:2066-70. Shirahatti RV, Ankola AV, Nagesh L, Hallikerimath S. The effects of three different pastes on enamel caries formation and lesion depth progression - An In Vitro Study. J Oral Health Comm Dent 2007;1:1-6. Yimcharoen V, Rirattanapong P, Kiatchallermwong W. The effect of casein phosphopeptide toothpaste versus fluoride toothpaste on remineralization of primary teeth enamel. Southeast Asian J Trop Med Public Health 2011;42:1032-40. Vongsawan K, Surarit R, Rirattanapong P. The effect of high calcium milk and casein phosphopeptide-amorphous calcium phosphate on enamel erosion caused by cholinated water. Southeast Asian J Trop Med Public Health 2010;41:1494-9. GC Tooth Mousse Portfolio. Available from: http://www.gceurope.com/pid/112/leaflet/en_Portfolio.pdf. [Last accessed on 2012 Aug 12]. Walsh L. MI, MI Plus Paste, Anthology of Applications. Australia. Available from: http://www.mi-paste.com/mi_clinical_bro.pdf. [Last accessed on 2012 Aug 12]. GC Tooth Mousse plus Made from milk Perfect for teeth. Available from: http://www.toothmousse.info/about-mousse.html. [Last accessed on 2012 Aug 12]. Zhao J, Liu Y, Sun WB, Zhang H. Amorphous calcium phosphate and its application in dentistry. Chem Cent J 2011;5:40. Walsh LJ. The current status of tooth crèmes for enamel remineralization. Dental Inc 2009;2. Available from: http://www.gcasia.info/Prof_Walsh_Remin_article.pdf. [Last accessed on 2012 Aug 12]. MI Paste™&MI Paste Plus™ the professional way to remineralize and rejuvenate teeth brochure. Available from: http://www.gcamerica.com/storage/dps_c/GCA_MI_Paste-iPad.pdf. [Last accessed on 2012 Aug 12]. Reynolds EC. 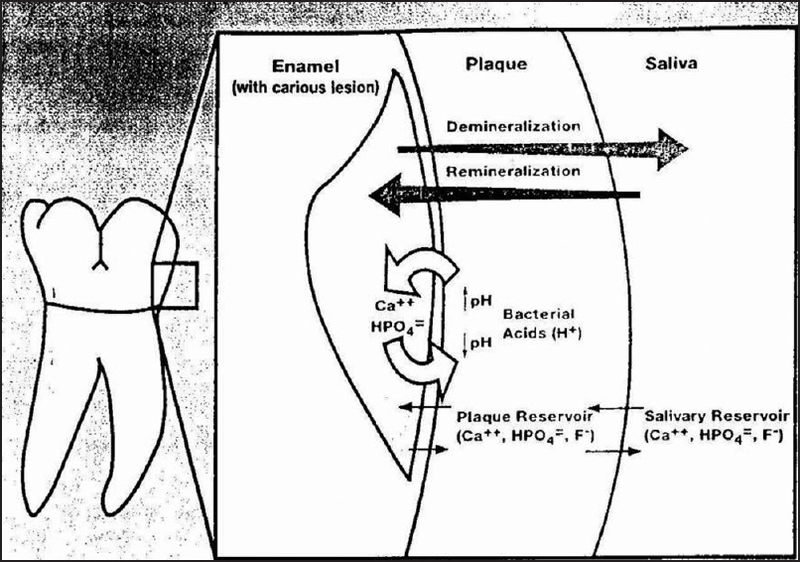 Casein phosphopeptide - amorphous calcium phosphate and the remineralization of enamel. US Dentistry 2006:51-54. Pfarrer AM, Faller RV. Fluoridating Efficiency and the Integrity of Product Delivery Systems. Cincinnati, OH, USA: Procter & Gamble Co. Available from: http://www.dentalcare.com/media/en-US/journals/.../iadr98pp_1694.pdf. [Last accessed on 2012 Jul 25]. Eversole SL, Faller RV, Bitten ER, Featherstone JB. Conventional and ′Remineralizing′ Toothpastes Compared in Two pH Cycling Models. USA, San Francisco, CA: Procter & Gamble Co. Available from: http://www.dentalcare.com/media/en-US/research.../eversole_1998.pdf. [Last accessed on 2012 Jul 25]. Landrigan WF, Eversole SL, Best JM, Faller RV. Animal Caries Efficacy of Conventional and ′Remineralizing′ Toothpastes. Cincinnati, OH, USA: Procter & Gamble Co. Available from: http://www.canada.dentalcare.com/en-CA/products/research/pp1693.jspx. [Last accessed on 2012 Jul 25]. Dorozhkin SV. Nanodimensional and nanocrystalline apatites and other calcium orthophosphates in biomedical engineering, biology and medicine. Materials 2009;2:1975-2045. Tschoppe P, Kielbassa AM, Lueckel HM. Evaluation of the remineralising capacities of modified saliva substitutes in vitro. Arch Oral Biol 2009;54:810-6. Lynch RJ, Churchley D, Butler A, Kearns S, Thomas GV, Badrock TC, et al. Effects of zinc and fluoride on the remineralisation of artificial carious lesions under simulated plaque fluid conditions. Caries Res 2011;45:313-22. George HN. The involvement of calcium phosphates in biological mineralization and demineralization processes. Pure Appl Chem 1992;64:1673-8. Sullivan RJ, Masters J, Cantore R, Roberson A, Petrou I, Stranick M, et al. Development of an enhanced anticaries efficacy dual component dentifrice containing sodium fluoride and dicalcium phosphate dihydrate. Am J Dent 2001;14:3A-11. Roveri N, Battistella E, Bianchi CL, et al., "Surface Enamel Remineralization: Biomimetic Apatite Nanocrystals and Fluoride Ions Different Effects," Journal of Nanomaterials 2009, Article ID 746383 doi:10.1155/2009/746383. Roveri N, Battistella E, Foltran I, Foresti E, Iafisco M, Lelli M, et al. Synthetic biomimetic carbonate-hydroxyapatite nanocrystals for enamel remineralization. Adv Mater Res Vols 2008;47:821-4. Roveri N, Foresti E, Lelli M, Lesci IG. Recent advancements in preventing teeth health hazard: The daily use of hydroxyapatite instead of fluoride. Recent Pat Biomed Eng 2009;2:197-215. Huang SB, Gao SS, Yu HY. Effect of nano-hydroxyapatite concentration on remineralization of initial enamel lesion in vitro. Biomed Mater 2009;4:034104. King NM, Itthagarun A, Cheung M. Remineralization by nanohydroxyapatite-containing dentifrice: A pH cycling study using slurry. J Dent Res 2006;85:000-000. Itthagarun A, King NM, Cheung M. Remineralization effects of nanohydroxyapatite-containing dentifrice: A pH-cycling study using supernatant. J Dent Res 2006;85:000-000. Najibfard K, Karthikeyan R, Chedjieu I, Amaechi BT. In Situ Remineralization of Early Caries Lesions by Nano-hydroxyapatite Dentifrice. 88 th General Session & Exhibition of the IADR 2010. p. 14-17. Haghgoo R, Abbasi F, Rezvani MB. Evaluation of the effect of nanohydroxyapatite on erosive lesions of the enamel of permanent teeth following exposure to soft beer in vitro. Sci Res Essays 2011;6:5933-6. Nakashima S, Yoshie M, Sano H, Bahar A. Effect of a test dentifrice containing nano-sized calcium carbonate on remineralization of enamel lesions in vitro. J Oral Sci 2009;51:69-77. Madan N, Madan N, Sharma V, Pardal D, Madan N. Tooth remineralization using bio-active glass - A novel approach. J Acad Adv Dent Res 2011;2:45-50. Advances in Remineralization Therapy, Provided By Dentsply. Available from: http://www.burkhartdental.com/sites/default/files/Hygiene.pdf. [Last accessed on 2012 Jul 25]. Alauddin SS, Fontana M. Evaluation of NovaMin® as an Adjunct to Fluoride for Caries Lesion Remineralization. Novamin Research Report. University of Florida. Available from: http://www.oralscience.ca/.../Evaluation-of-NovaMin-as-an-Adjunct-to-Flu.pdf. [Last accessed on 2012 Jul 25]. Vahid Golpayegani M, Sohrabi A, Biria M, Ansari G. Remineralization Effect of Topical NovaMin Versus Sodium Fluoride (1.1%) on Caries-Like Lesions in Permanent Teeth. J Dent (Tehran) 2012;9:68-75. Stone AH, Schemehorn BR, Burwell AK. Enhanced enamel fluoride uptake from NovaMin® - Containing fluoride dentifrices. J Dent Res 2008;87:0625. Burwell A. Tubule Occlusion of a NovaMin-Containing Dentifrice Compared to Recaldent-Containing Dentifrice - A Remin/Demin study in vitro. Novamin Research Report. University of Florida. Available from: http://www.oralscience.ca/en/.../education/novamin-Tubule-occlusion.pdf. [Last accessed on 2012 Jul 25]. Wefel JS. NovaMin: Likely clinical success. Adv Dent Res 2009;21:40-3. Mason SC. New In Vitro and In Situ evidence for a toothpaste formulated for those at risk from erosive tooth wear. J Clin Dent 2009;20:175-7. Jaidka S, Somani R, Khaira S, Jaidka R. The Effect of prevident and pronamel in the prevention of chemical erosion: A comparative study. Indian J Stomatol 2012;3:102-5. Poggio C, Lombardini M, Colombo M, Bianchi S. Impact of two toothpastes on repairing enamel erosion produced by a soft drink: An AFM in vitro study. J Dent 2010;38:868-74. Kleinberg I. Sensistat a new saliva-based composition for simple and effective treatment of dentinal sensitivity pain. Dent Today 2002 available at http://www.dentistrytoday.com/restorative/1824, [Last accessed on 2012 Jul 25]. Acevedo AM, Montero M, Sanchez FR. Clinical evaluation of the ability of CaviStat® in a mint confection to inhibit the development of dental caries in children. J Clin Dent 2008;19:1-8. Rirattanapong P, Vongsavan K, Tepvichaisillapakul M. Effect of five different dental products on surface hardness of enamel exposed to chlorinated water in vitro. Southeast Asian J Trop Med Public Health 2011;42:1293-8. Su N, Marek CL, Ching V, Grushka M. Caries prevention for patients with dry mouth. J Can Dent Assoc 2011;77:b85. Rirattanapong P, et al. Effect of various forms of calcium in dental products on human enamel microhardness in vitro. Southeast Asian J Trop Med Public Health 2011;42:1056. Karlinsey RL, Mackey AC, Stookey GK. In vitro remineralization efficacy of NaF systems containing unique forms of calcium. Am J Dent 2009;22:185-8. Delbem AC, Bergamaschi M, Rodrigues E, Sassaki KT, Vieira AE, Missel EM. Anticaries effect of dentifrices with calcium citrate and sodium trimetaphosphate. J Appl Oral Sci 2010;20:94-8. Skrtic D, Antonucci JM, Eanes ED, Brunworth RT. Silica- and zirconia-hybridized amorphous calcium phosphate: Effect on transformation to hydroxyapatite. J Biomed Mater Res 2002;59:597-604. Qi YP, Li N, Niu LN, Primus CM, Ling JQ, Pashley DH, et al. Remineralization of artificial dentinal caries lesions by biomimetically modified mineral trioxide aggregate. Acta Biomater 2012;8:836-42. Rethman MP, Beltrán-Aguilar ED, Billings RJ, Burne RA, Clark M, Donly KJ, et al. Non-fluoride caries preventive agents. Full report of a systematic review and evidence-based recommendations. ADA Center for Evidence Based Dentistry; 2011. Available from: http://www.ada.org › ADA News › Media Resources › Press Releases. [Last accessed on 2012 Jul 25]. Yamamotoa O, Ohiraa T, Alvareza K, Fukudab M. Antibacterial characteristics of CaCO3-MgO composites. Mater Sci Eng 2010;B173:208-12. Featherstone JD. Delivery challenges for fluoride, chlorhexidine and xylitol. BMC Oral Health 2006;6 Suppl 1:S8.